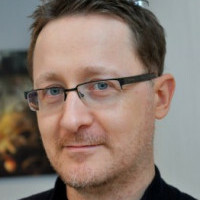 Nick Arundel is Audio Director at Rocksteady Studios and has worked on all their projects from Urban Chaos: Riot Response through the Batman: Arkham series. He runs the audio team, overseeing all aspects of the audio from dialogue through to music. Additionally, Nick has composed part or all of the scores for Rocksteady’s games over the last 10 years or so, including the award-winning Batman: Arkham series of games.